The world’s best Sportsman racers will take center stage this weekend at the International Hot Rod Association (IHRA) Summit World Finals at Memphis International Raceway on October 19-21, 2017. Hundreds of Summit SuperSeries track champions along with Summit Team Finals divisional champions from around the United States and Canada will gather at the Millington, Tenn., track for the largest and most prestigious bracket racing national championship in drag racing. The IHRA Summit SuperSeries will crown champions in Top (Box), Mod (No Box) and Junior Dragster at the Summit World Finals. The $200,000 program is the championship competition for IHRA member Sportsman racers and it features an increased and expanded purse for 2017. 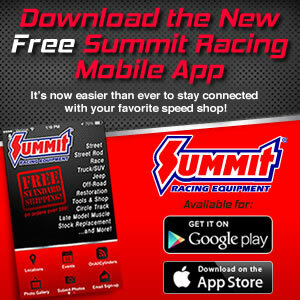 To qualify for the season finale, racers must win the Summit SuperSeries track championship or win one of the Summit Team Finals main event in their division. To view a list of those who qualified for the IHRA Summit World Finals, click here — LIST OF 2017 WORLD FINALS QUALIFIERS. Mickey Nelson from Maryland International Raceway was the 2016 Top ET national champion. Vic Ellinger from Thompson Raceway Park was the Mod ET National Champion and Allison Lloyd from Richmond Dragway was the Junior National Champion. Click HEREfor the event schedule. Tune into MotorMania TVnext Friday and Saturday to watch the best racers compete live for the IHRA Summit SuperSeries World Championship.